If a typical mobile phone was placed on the surface of Mars, it would be the brightest radio object in the night sky. It’s not that mobile phones are generating massive amounts of radio energy, but rather that astronomical radio objects are extraordinarily faint. That’s why we need super-sensitive radio telescopes, and why some radio telescopes need to be protected against stray radio signals. One solution is to create a radio quiet zone, where the use of radio and microwave technology is severely limited. 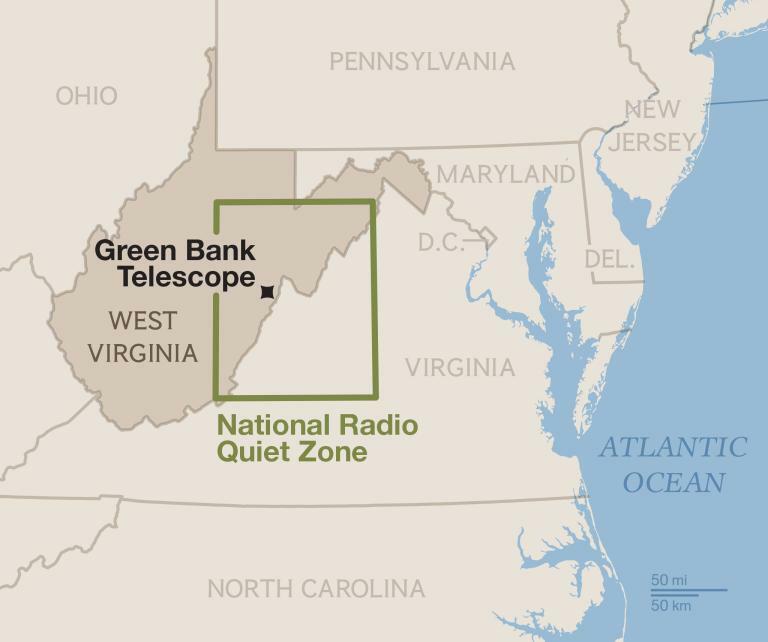 In the United States, a National Radio Quiet Zone was established in 1958 to protect radio telescopes at Green Bank observatory in West Virginia. 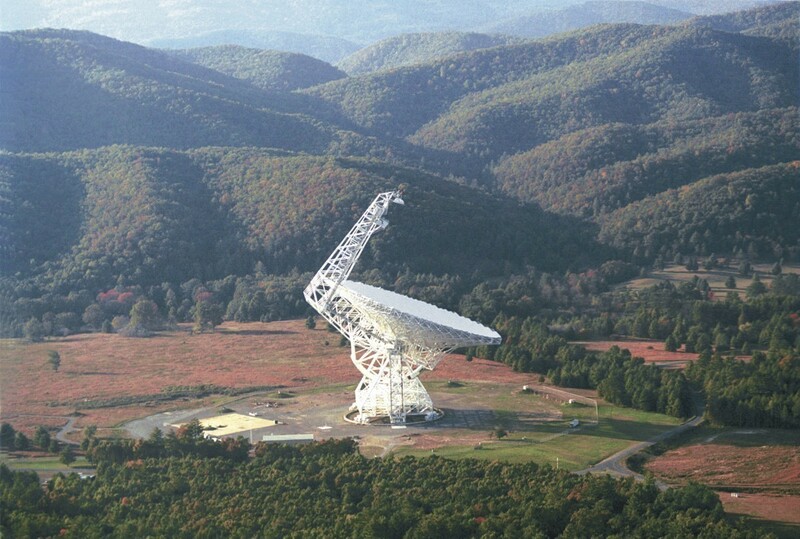 It’s a 34,000 square kilometer region spanning parts of Virginia and West Virginia. In the Zone there’s no cell coverage, no wifi, and limited internet. Near the telescopes themselves even digital cameras are too radio loud to be used. It’s also where I happen to be heading for the rest of this week. I won’t have access to the web while I’m away, and I don’t have a backlog of posts, so this site will also be entering a kind of radio silence. Posts will start back up again once I’m back on Monday, but until then enjoy the break from my usual broadcast. See you all when I’m back. 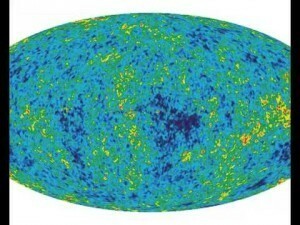 OK. Hope to read what you have to say about the claims of discovering evidence of a parallel universe.